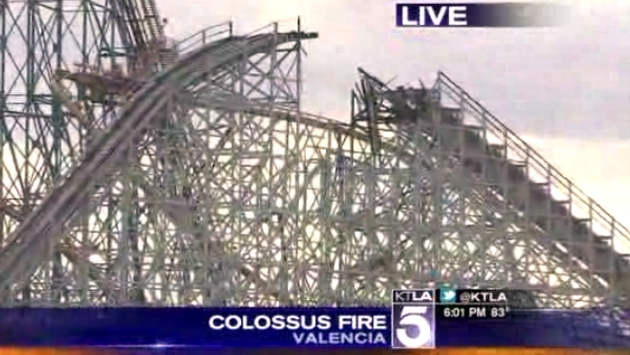 Magic Mountain’s Colossus has seen better days. The mammoth roller coaster, recently closed for a renovation, had a section catch fire and collapse, signaling the very real truth that old age is a humdinger. KTLA reports a fire broke out atop the famed coaster on Monday, eventually leading to a section collapsing. A scary moment led to astounding video and images shared throughout social media. Below is KTLA’s report via the Los Angeles Times. 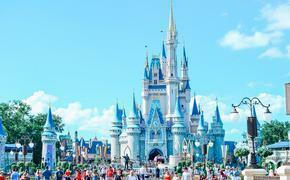 Back in August, the LA Times’ Brady MacDonald reported on the transformation for one of the park’s more iconic rides. According to the report, Six Flags Magic Mountain (Valencia, Calif.) shut down the ride for a transformation of sorts, promising a new and improved “Twisted Colossus” due to open in 2015. Those fake park enthusiasts certainly sound like they are having a good time, so perhaps we will give this twisted contraption a go when it opens. Although, we may have to wait a spell, because we need to forget the image of the ride burning to the ground before we line up for a wild ride.